Good evening everyone, Darcy here with a new topic. This one is very much looking forward to the better weather, summery days, lighter evenings and garden parties. Our new topic is Banners and Bunting. 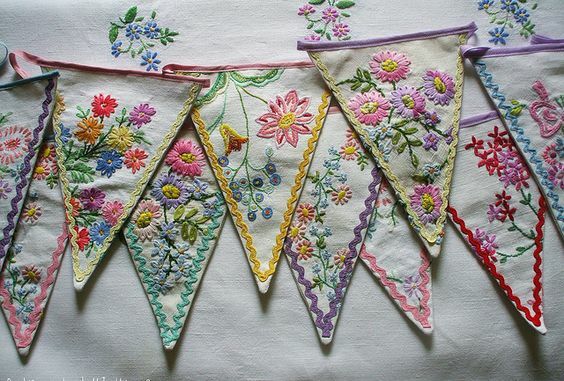 There are many names for these fluttery bits of decoration, bunting, bunts, flags, garlands,banners and pennants but whatever you call them they have been around a long time. The earliest reference I can find is from the 1600's and relates to the flags raised on a ship. On naval ships the sailor who raises the flag is still known as a 'bunt'. Though we now use the term 'bunting' to mean the whole string of flags, it was originally the word used to describe the material. An individual flag was called a 'Tammy' , derived from a French word for lightweight fabric. 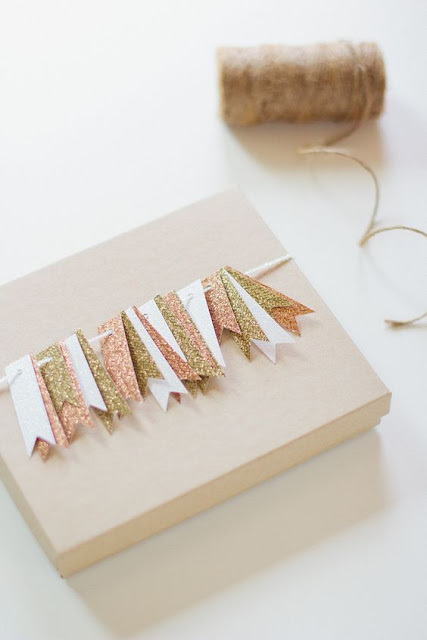 Modern bunting is varied and can be made from anything, from paper to card, fabric, wool,plastic wood, really anything that you can string together. We also use it in many more ways,not just on ships, I mean, how many of us have a naval ship handy? 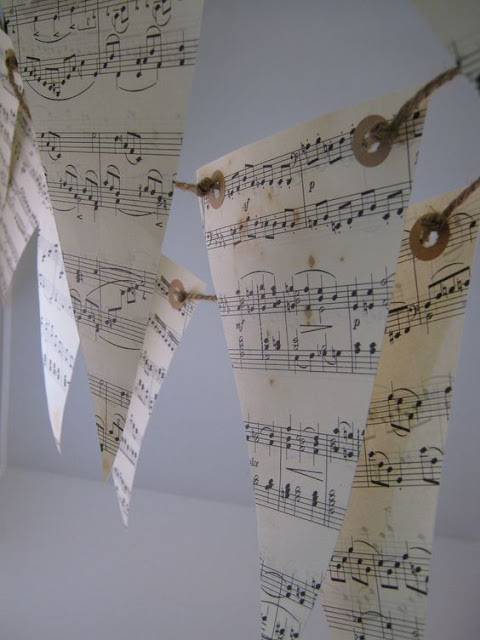 Now we use bunting on cards, canvasses, scrapbook pages, in gardens and strung up at windows or on walls. So let's have a look at some great examples. 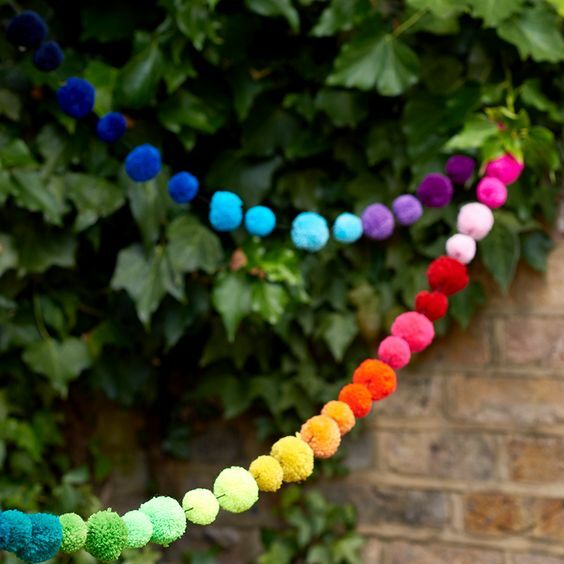 I love these pom poms, and what a fun way to get children involved, this would brighten up a bedroom or a garden. 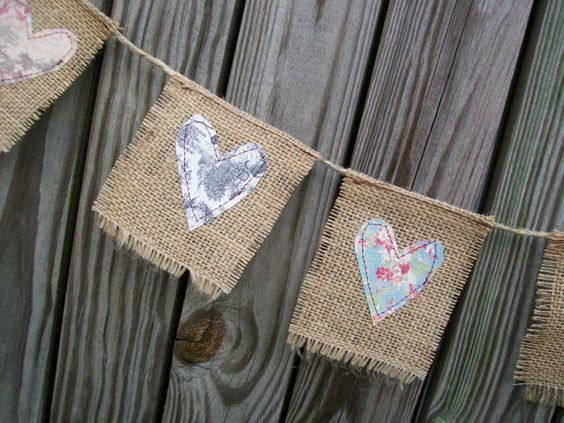 Fabric is still a popular choice for bunting, and this one would be relatively easy to make. The centre image could be any shape, and could be stamped fabric instead of patterned. This set is a little more unusual in shape, but very effective as an autumn decoration. Follow the link in the name to see them strung up over a fireplace. This next set is a fabulous bit of recycling, the fabrics for these flags were once tablecloths. 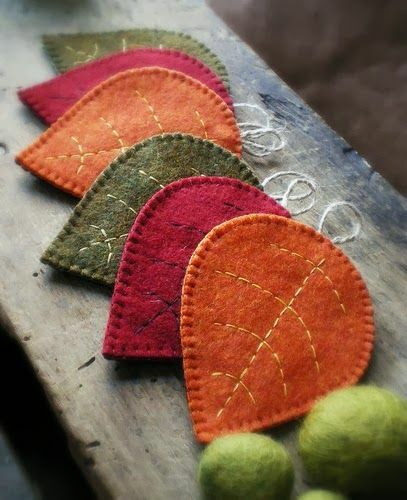 They had become holey and damaged over the years so they were cut apart and the best bits were rescued to make bunting. I adore these and will be on the lookout for old tablecloths now! How could you recreate this with stamps? 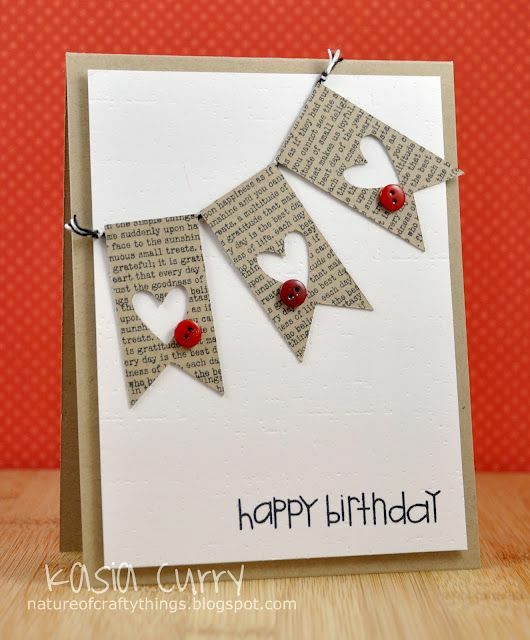 I think that Kay Carley's stamps would be perfect for this vintage look. There were so many beautiful fabric sets to show you, but I was especially taken by the knitted and crochet ones. Here is a tutorial on how to make them. 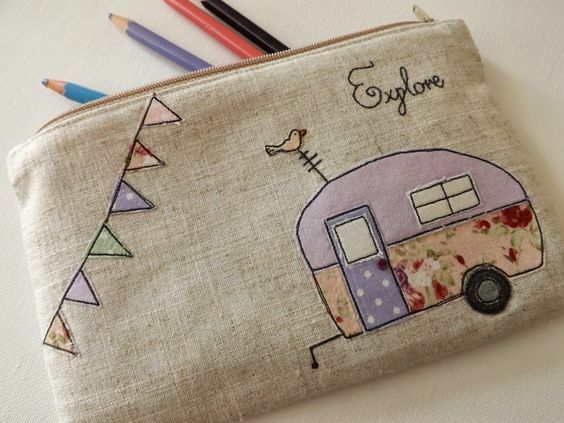 Bunting does not need to be strung up, how about adding it to a cushion or a pencil case. 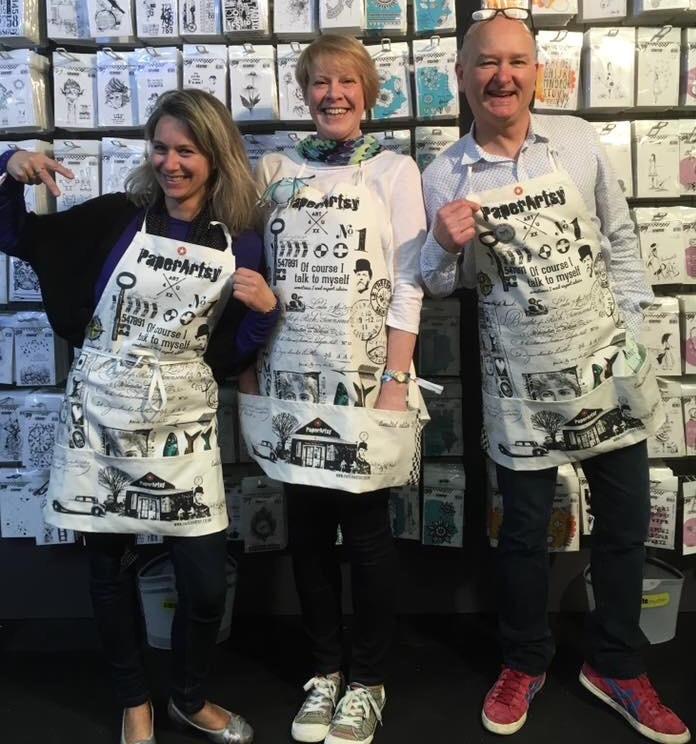 Again you could stamp your favourite images onto fabric and then use fabric glue or stitching to attach them. 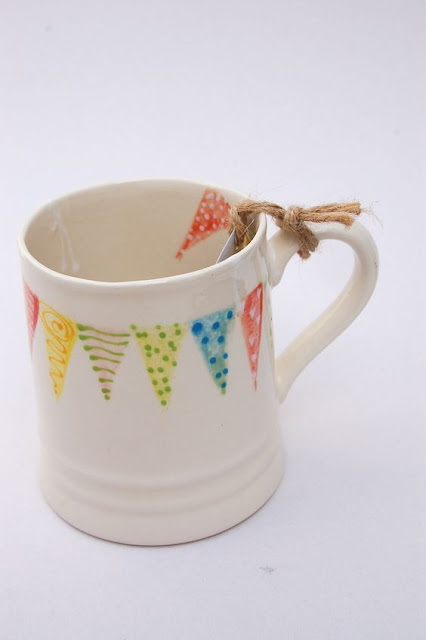 Bunting is everywhere, and even appears on mugs. If you are having a cuppa then you definitely need cake! 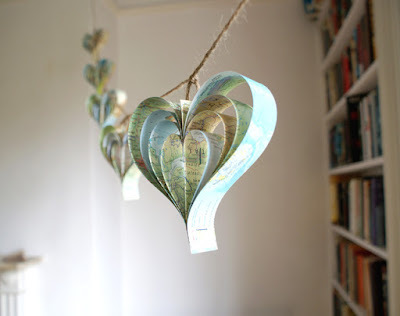 This one is one of my favourites of the paper collections, so simple but effective, a die cutting machine or a paper punch and an old book and you are all set to make this. 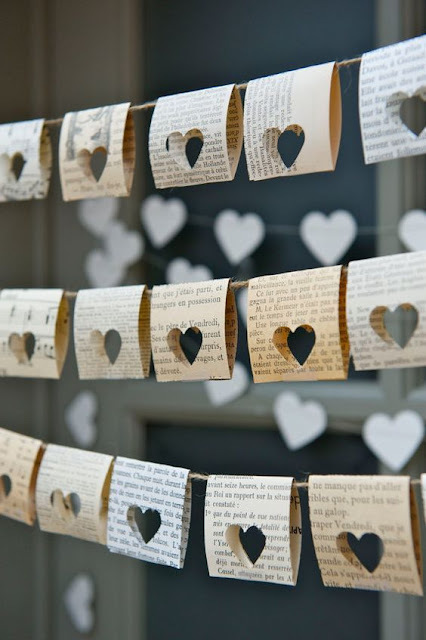 Staying with the heart theme, this is another fabulous idea. 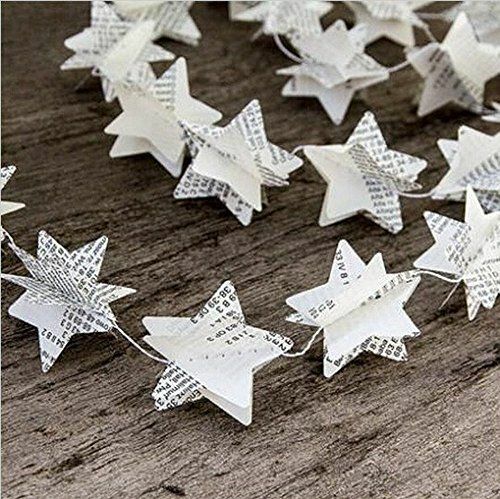 More recycling of old books with this paper star garland. Don't forget vintage music sheets, generally bigger than reading books so you can make bigger flags. If you don't fancy stringing up bunting everywhere, then cards are a much more manageable size. This one from Julie Hickey has so many wonderful details. Your individual flags do not have to be the same shape or size, try mixing them up. 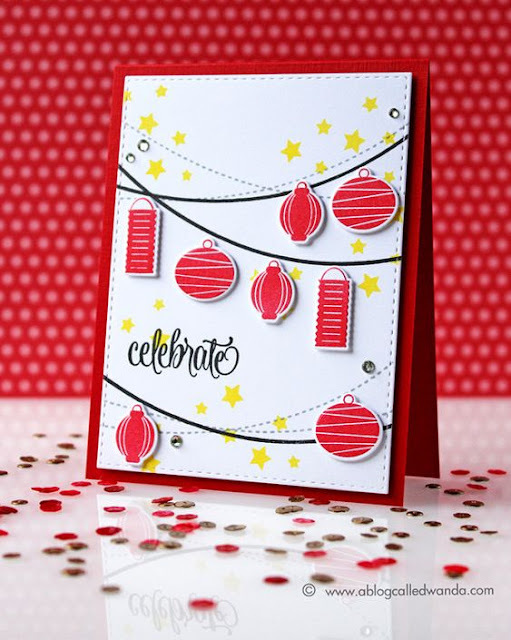 The red lanterns on this Chinese New Year card really pop off the white background, adding them to strings really completes the composition. Flags of all sizes and shapes can work really effectively. 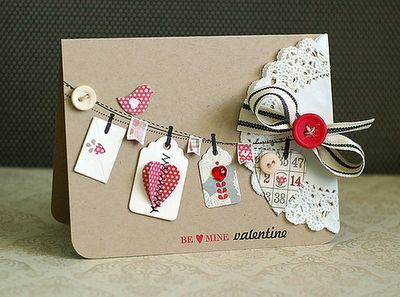 Here tags, hearts, an envelope and traditional flag shapes are all mixed. More cut outs, this time strung onto a card, minimal elements but maximum effect. These mini flags cut from sparkly card are perfect for a string of bunting to wrap around a gift. A matching tag would make a lovely set. 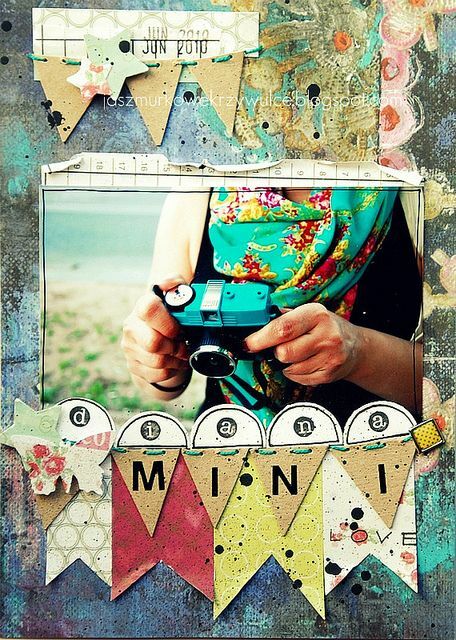 Scrapbook layouts look great with bunting, it can be themed to match your photos. 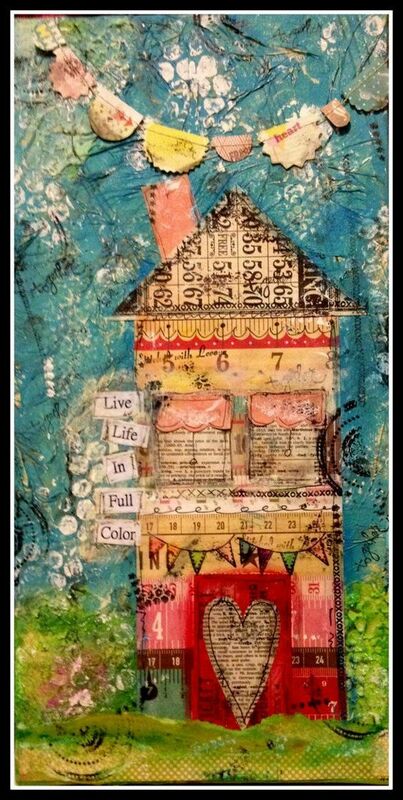 A mixed media canvas or art journal layout is a great place to try bunting, it can be flat in a journal or a bit more textured or 3d on a canvas. 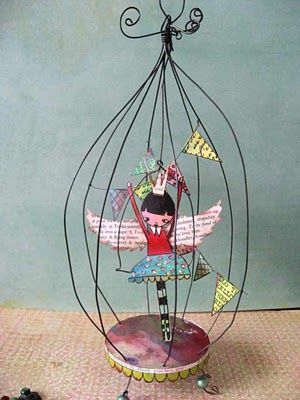 One last mixed media piece, how sweet is this wire cage, with its fairy and bunting. 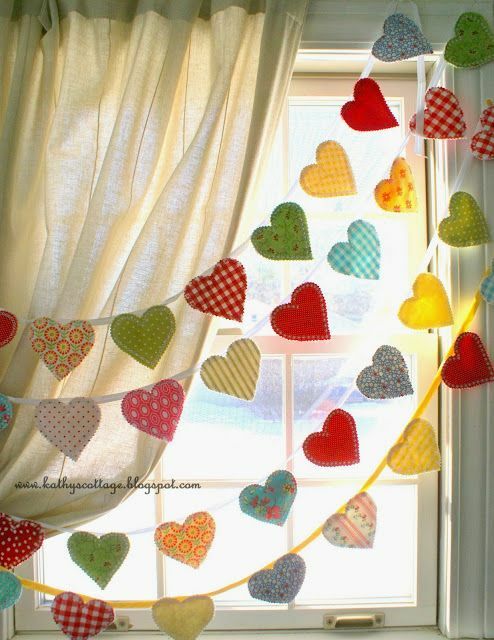 So many wonderful ways to use bunting, there are even more if you follow the Pinterest links. I hope these have inspired you , whether you use fabric, paper,, wood or any other wonderful substrate I hope you have fun. 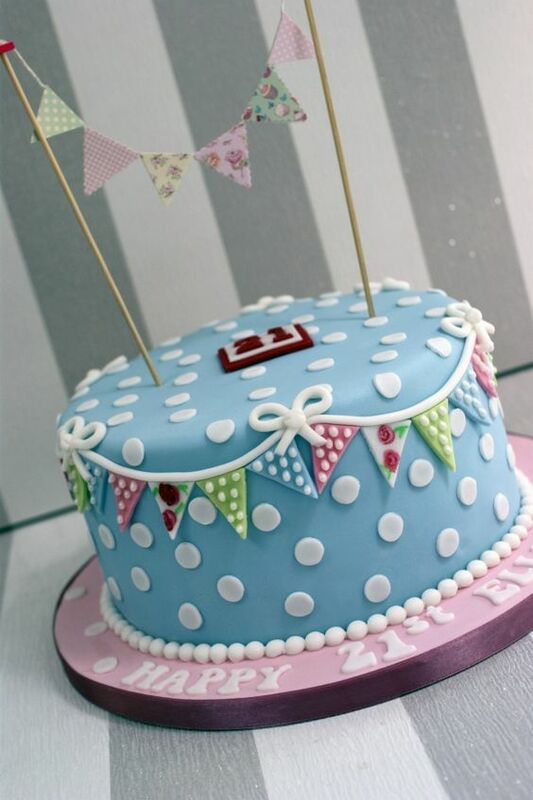 Can you imagine the party we could have if you all create strings of bunting, I will bring the cake! The current topic link Topic 6: Bunting & Banners will close 17:00 (London Time) Sunday, 15th April 2018, and the winner will be announced 2 hours later at 19:00.
Who knew bunting could be so diverse! Great theme. So much inspiration ... 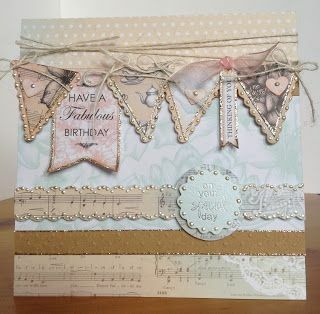 I really love the texty bunting ... it was fun to ink-up my first Paper Artsy set to join the fun. What a lovely topic! Congrats to Sarah. WOW. All projects are totally great and awersome inspiration. I will just have to do some project myself too. I have been on a real banner and punting kick as of late, so this is perfect. 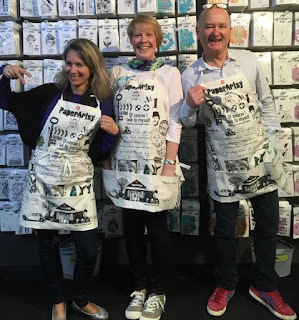 Such a brilliant idea to start with labels!. I'l be digging around the office for those tomorrow!. Thanks for the lovely inspiration. Brilliant topic, love it. Perfect for the welcome baby card I needed. Cheers! I love these challenges and all the fabulous examples you post to inspire us. 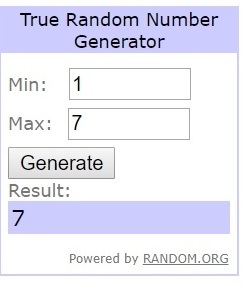 Congrats to Sarah on her win.